Tehelka, Jay Mazoomdaar is an Independent Journalist. ON 30 JANUARY, Vedanta released its maiden national corporate publicity campaign — Creating Happiness, a 90-second film created by Ogilvy & Mather — across television channels. Binno, a little girl from rural Rajasthan and the face of the campaign, has already endeared herself to millions. The campaign also features 38 short films made by students of Film and Television Institute of India, Indian Institute of Mass Communication and other institutes, shortlisted by a jury including Shyam Benegal and Gul Panag. (At the time of going to press, Benegal told an activist that he was not on the jury anymore). Understandably, thousands of victims of Vedanta’s environmental and human rights abuse see little endearing in Binno’s smile. Now among them are 500 children from Odisha’s Puri district who belong to families affected by the Vedanta University Project (VUP). On 10 February, they suddenly became dispensable liabilities in the MNC’s mega scheme of things. The campaign with a media budget of more than Rs 100 crore, to quote O&M executive chairman Piyush Pandey, is “all about enabling India” and “looks forward to the people of India not just appreciating Vedanta efforts, but getting inspired to do something on their own to make India a happier place.” With that lofty goal, Vedanta’s communications and brand director Senjam Raj Sekhar told the media that the MNC “opened up all its projects and locations to budding independent filmmakers”. But Vedanta kept at least one location under wraps. Only two of the 38 films in the competition feature Odisha. And neither tells the Vedanta story in Puri where the MNC began sponsoring the education of 500 children in the prestigious DAV Public School four years ago. GADADHAR TRIPATHI from Chandanpur, Puri district, was among thousands of villagers approached by Vedanta for their land. In June 2006, Vedanta Resources Ltd had sought 15,000 acres from the Odisha government for setting up a university near Puri. A month on, the government signed an MOU with Vedanta Foundation (formerly Sterlite Foundation) for the project. “The company took 6,000 acres of agricultural land from us. We were told that our children would get good education for free. We were also promised quality healthcare and jobs. It even promised to build good schools in our villages. We were happy,” says Tripathi. In 2008, VUP signed a 30-year MOU with DAV to provide education for 500 children from the project-affected families up to Class X. 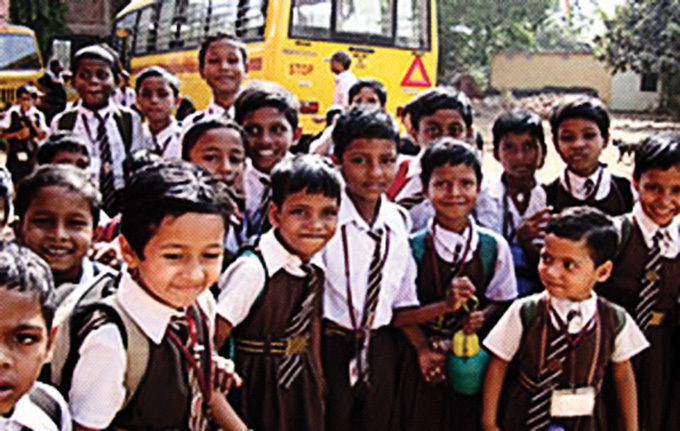 The project website — vedanta.edu.in — reads: In an honest attempt at forging a partnership for providing quality education to the largely deprived children of the rural areas, the VUP of Anil Agarwal Foundation has been supporting the children belonging to the project impacted village for admission into DAV Public School, Puri. There should be a law against land being taken from somebody like this, (maybe there already is?) – with some strict stipulations that ensure that those displaced are assured a better lifestyle than before and definitely be share holders in whatever their land is being used for. Read the link from Tehelka and tweeted the story of 500 children taken out of school.